Spring isn’t even here yet, and we’ve already had plenty of hot days in Southern California to force our air conditioners into regular use. That’s going to kick into overdrive in a manner of weeks. Hot weather seems to arrive a little sooner every year, and with temperatures in the area often rising well above 100 degrees. A good air conditioner is far more than a luxury in such an environment, and if it goes down in the middle of a heat wave, it can present an active health risk to your family. The good news is that we offer timely repair services and can fix a faulty air conditioner quickly if it runs into trouble. But we don’t like seeing loyal customers having to scramble in the face of an unexpected emergency, and firmly believe that an ounce of prevention beats a pound of cure. 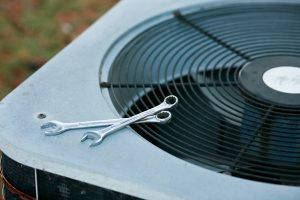 Before the heat returns in earnest, you should schedule a maintenance session for your air conditioner. It will pay dividends all summer long. A maintenance session is much more generalized than a repair session (which is called to address a specific problem with your system). It’s intended to let the technician look for any issues that could grow larger and more troublesome if they aren’t properly addressed. For instance, if a bolt holding a specific component in place becomes loose, it can cause the component to rattle in its housings: increasing the wear on it and forcing the air conditioner to work harder to do its job. Tightening that bolt reduces that inefficiency while making it less likely that the affected component will break down. Maintenance sessions conducted at the beginning of every cooling season provide three basic benefits, which can pay huge dividends during our long hot summers. By fixing those little problems like loose bolts, the system will perform more efficiently: cutting down on monthly bills and reducing wear and tear. Getting an early jump on larger repairs usually reduces the cost of those repairs, since the damage hasn’t had as much time to spread. It also means scheduling the repair session at your convenience instead of having to move your life around to accommodate an emergency. While applied regularly, over time, maintenance sessions can reduce the impact of wear and tear: helping your system last longer while mitigating the cost of repairs later in the systems life. If you haven’t scheduled a maintenance session for the AC in your Pomona, CA home, call on Greenleaf Heating & Cooling today!